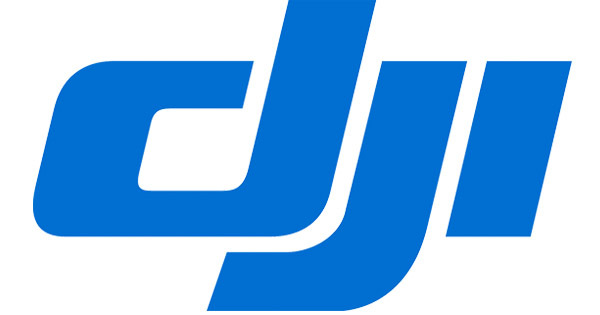 You certainly know DJI for its very worldwide famous drones. But the activity of this Chinese manufacturer is not limited to that. Indeed, when it comes to stabilizers, you’ll also find some very good solutions, bet it for your smartphone or your camera. Indeed, you’ll find several gimbal stabilizers which all have one common point : they offer a very high quality and it is certainly the best on the market as far as this is concerned. DJI is quite expensive, this is true. 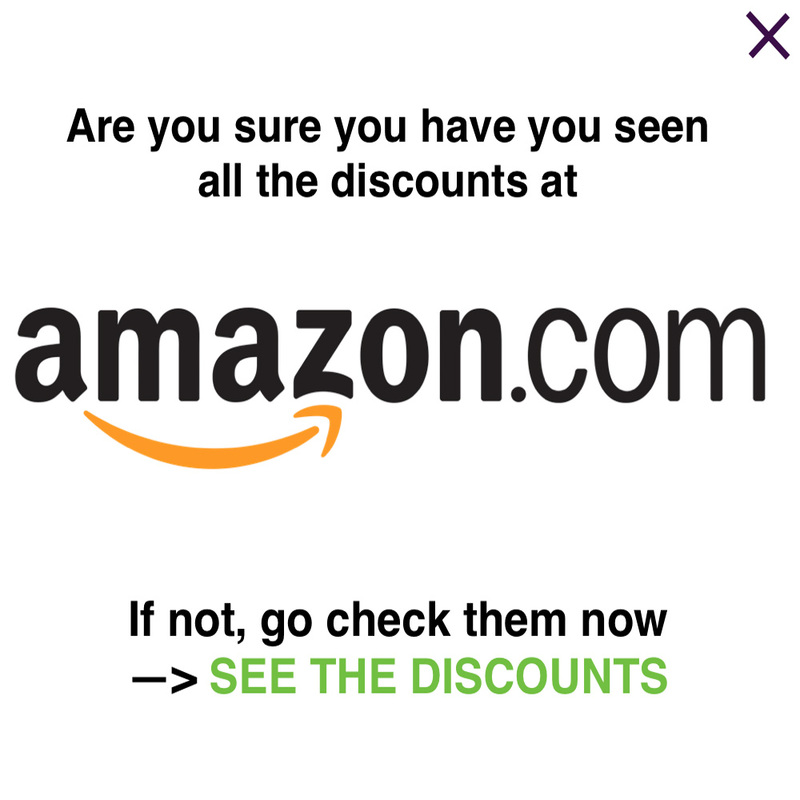 Yet, you truly know where your money goes with this manufacturer. Indeed, one of their priority is to offer high-end products which will last for years. The materials which are used to produce these gimbals are really top quality ones and you swiftly understand why their products’ prices are always above the average of the market. Discover the 3 main gimbals of the Chinese manufacturer, DJI. The DJI Osmo Mobile is the smartphone stabilizer of this Chinese manufacturer. As you can see in our DJI Osmo Mobile review, it is definitely our favorite for the time being. Indeed, it offers a very good battery life, an insane quality and reliability, a very good stabilization, many very interesting functions, a very easy controlling… but a quite expensive price. As always, when you want to have quality and performances, you are going to pay a lot. This is a compromise you’ll always have to do in life, and it is particularly true when it comes to smartphone gimbals. 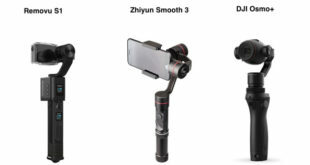 It is, according to us, a bit better than its competitors such as the Zhiyun Smooth 3 or the Feiyu SPG. We strongly invite you to discover our smartphone gimbal comparison to know more about every product on the market. 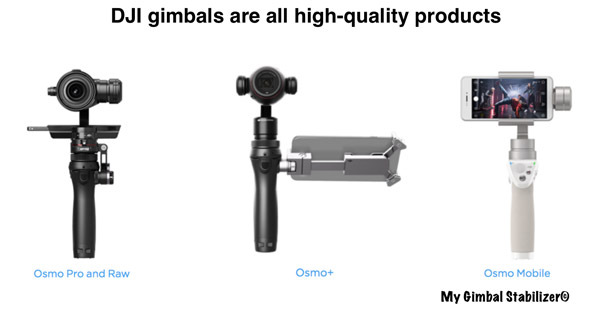 The DJI Osmo+ is the second kind of gimbals that you’ll find with this manufacturer. Indeed, this is a stabilizer with integrated 4K camera. 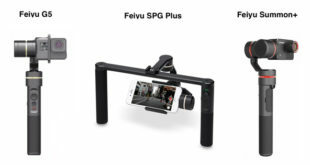 This is something very new that you’ll find with only two brands : DJI and FeiyuTech with the Feiyu Summon+. We have to say that we really enjoy this kind of gimbals which are really convenient to use. In fact, the fact of having 2 in 1 is particularly interesting and the outcome is just awesome. With its 4K 12,8MP camera, this gimbal offers high-quality videos that you’ll definitely enjoy. 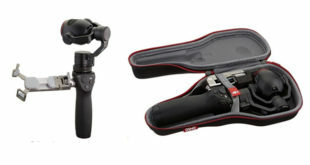 The stabilization is very good and, of course, the quality of the product, both the grip and the camera, is very good. As you can see in our DJI Osmo+ review, this gimbal offers quite a few interesting functions that we strongly invite you to discover in our review. The two only weaknesses of this product are its very bad battery life and its high price. Still, it is one of our favorites thanks to its very high quality and very good reliability. Finally, if you really want the best of the best of the quality, you’ll have to turn to the DJI Osmo RAW. Indeed, this is quite the same as the Osmo+…but here, you have a professional camera. Indeed, it really offers insane performances thanks to its micro 4/3 16MP camera, with its focus distance of F1.7 to F16 and its ISO range from 100 to 25.600. This is further evidence of the high-end products that DJI wants to offer to its clients. With this camera with integrated stabilizer, you’ll be able to shoot videos like a real professional. This is really the evolution of the DJI Osmo+, but, of course, it is way more expensive. If you want to discover it into details, you can have a look at our DJI Osmo RAW review, in which we really look into every criterion in detail. Unfortunately, these very high performances have two significant drawbacks. The first one is the price, as we’ve just said. The second is the battery life. Indeed, by shooting videos in RAW format, you’ll use your battery very swiftly. You can count on 30 to 40 minutes of video recording. Yet, as you definitely know, when you shoot in RAW, you are not going to record for hours. And, furthermore, you will get 4 batteries in the combo pack that you’ll find on the official website. Buy a gimbal : what are the criteria to take into account ? DJI Osmo+ : is it the best gimbal with integrated camera ? Turn your videos shot with your smartphone into professional videos.